The St Charles XI Church (Kaarli kirik in Estonian) lies just outside the Old Town area, on a site called Tõnismägi (the Hill of Tõnis) at the southern base of Toompea. 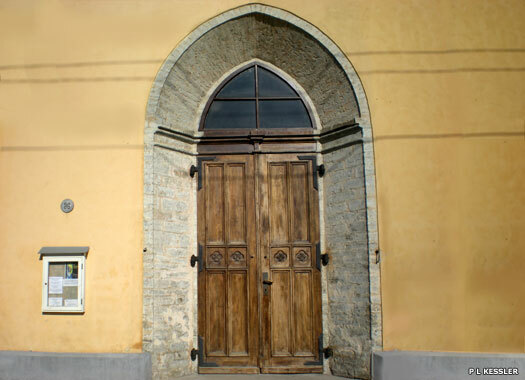 A chapel dedicated to St Anthony and a graveyard were located on the site of the church by the fourteenth century, presumably used by the local non-German community. 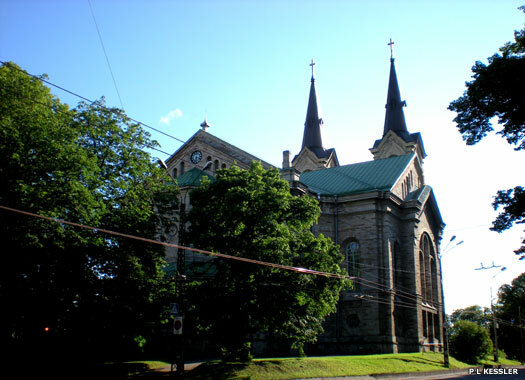 The first full church on the site was consecrated on the 4th Advent of 1670, after Charles XI, king of Sweden (1660-1696), had ordered the building of a wooden church in a Greek cross style. Charles offered the church for use by Estonians and Finns, but the Great Northern War between Sweden and Russia in 1700-1721 wrought great destruction across Estonia. With Russian troops outside Tallinn's city walls in August 1710, many of the buildings surrounding the city's fortification wall were burnt down, including the church. Its destruction weakened local parish life within a couple of decades, with parishioners either going to the Church of the Holy Ghost in the centre of the Old Town or further afield to Jõelähtme (around twenty kilometres east of the city) or Keila (about the same distance to the south-west). Potential congregations had increased by the 1850s, when collections were taken with a view to building a new church on the site. 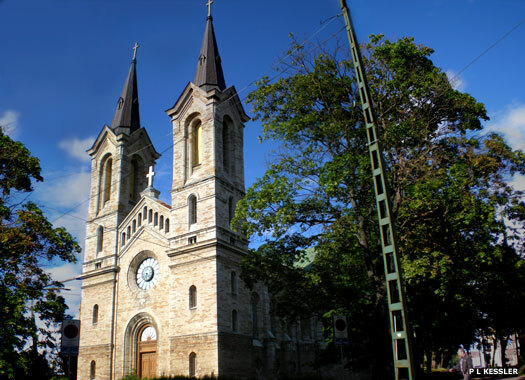 The cornerstone was laid on 18 October 1862 and the present church was completed in 1882, according to a design by Otto Pius Hippius from St Petersburg, who had strong Estonian connections. The organ was fitted in 1884. The first service was held before that, on 20 December 1870, exactly two hundred years after the consecration of the first church on the site. Finishing touches were added over the next few years. 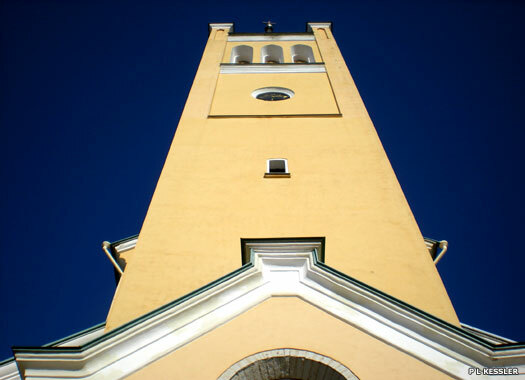 St John's Church (Jaani kirik) sits in Freedom Square (Vabaduse väljak), on the border between the Old Town and Kesklinn. 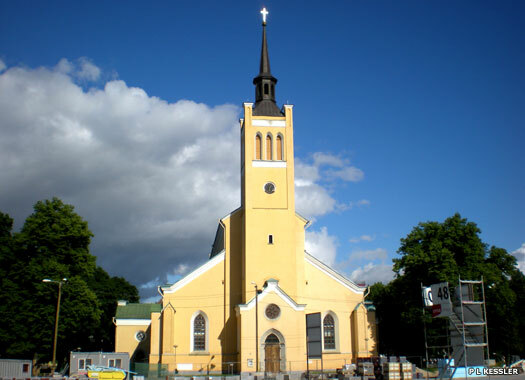 The three-aisled church was built for the excess congregation from the Church of the Holy Ghost, which was always too small to be the main parish church for around 14,000 Estonians in Vanalinn. 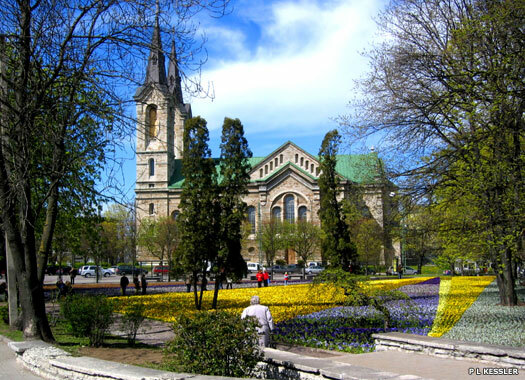 A collection started in 1851, and the magistrates in Tallinn, who had patronage rights over the church, gave permission for the new building to be erected outside the town walls, on a plot that had formerly belonged to the Domguild. The neo-Gothic building was designed by Christoph August Gabler (1820-1884), Tallinn-born provincial architect for Estonia from 1859 until his death. Construction took five years, between 1862-1867, but the toughest stage was the first, when the foundations were laid in soft ground which had formerly been a moat. To reinforce the foundations, dozens of thick oak trunks were rammed into the ground. The cornerstone was laid on 8 September 1862 and the church was named after St John the Evangelist. The surrounding land was built up from the end of the nineteenth century, culminating in the square which existed until the extensive modifications of 2007-2010. Unfortunately the new art deco and functional buildings sharply contrasted with the neo-Gothic church, so in 1936 the government decided the church would have to be pulled down. The plan was thwarted by the war and by occupation. 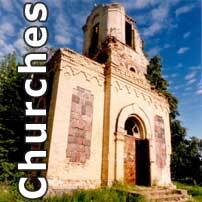 Although demolition was again mooted in the 1950s, the church survives to this day.